Farm life sims such as Stardew Valley and Nintendo's Animal Crossing are deserved genre titans, but they have few peers, especially on Xbox. Luckily for fans, a new one has arrived. 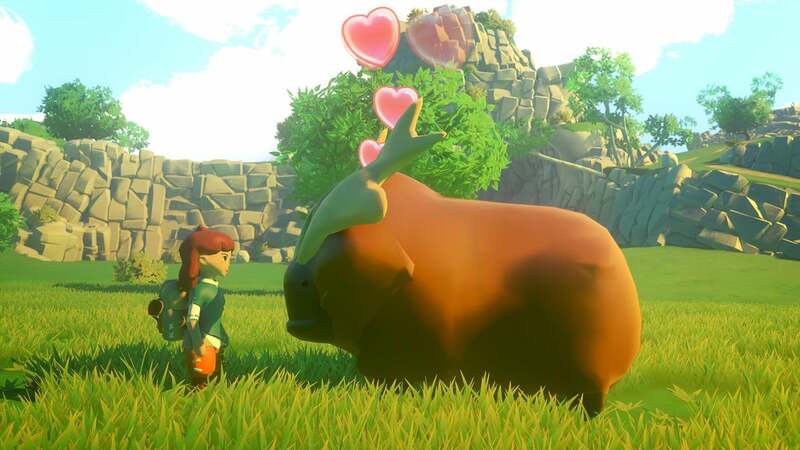 Existing as the happy medium between the totally lackadaisical Nintendo favorite and the indie breakout hit, Yonder: The Cloud Catcher Chronicles is irresistibly quaint and cute in all the right ways. Despite its faults, no genre fan should miss it. Unlike many other games of its kind, Yonder opens with a fantasy premise. You've returned to the land of Gemea, the home you hardly remember, and it's up to you to clear the Murk that looms like literal dark clouds over the several biomes of the region. Why it's up to you and how you go about clearing the land of this poison comes down to video game tropes so worn out by now, but it doesn't matter because the story is barely there and not the point. At its heart, Yonder is about fostering happiness across the land, and you do that by building and tending to farms and assisting the many townsfolk scattered about. Quests are never taxing and there's not a hint of combat in Yonder like genre-mates sometimes include. It's truly and exclusively a game about helping those in need and sparking joy — fitting considering how you go about cleaning up Gemea's many messes like Marie Kondo. Along your travels, you'll join several guilds like constructors and chefs, learn an impressive number of recipes and items to craft, and put them to use however you see fit. The game's crafting menus are impressively deep, and yet never confusing like these games can have a habit of becoming. That is one of the best parts about Yonder. It carves out its own comfortable space between the utter simplicity of Animal Crossing and the sometimes too intimidating Stardew Valley. It's a game with depth, but you'll always know where to go next, what is available for you to do, and how to do it. When the story mode ends, the game is meant to exist as one in which you can spend countless more hours, but Yonder sadly misses the mark in this respect because the farming elements don't have the same depth as the crafting. Diligent players will have farms in each biome up and running before the final story quest, and by then it's also likely you'll have automated your agricultural revolution with farmhands that pick up all the poop for you — yes, literally. Farms are rated for animal happiness, cleanliness, and value, all of which are displayed teasingly when you're nearby, nudging you, but it's usually harder to gather the resources needed to clear these plots of land of the Murk than it is to keep them all clean, happy, and profitable. Just when the game lets you run off into the world to do whatever you want with it, there's little left to actually do other than collect your earnings and trade them for items you likely already have in great abundance. Seasonal events like Halloween and animal migrations help keep the world living to some extent, but unlike other farm life games where the intent always feels like you're planting your flag and settling in as a permanent resident, Yonder feels more like you're a fish out of water, back in your own birthplace but always a stranger, a passerby. This issue is exacerbated by the game's NPCs, all of whom lack much personality. A few dole out interesting facts on animals or plants that help you plan ahead, but many others just repeat the same lines every time you go to speak to them. 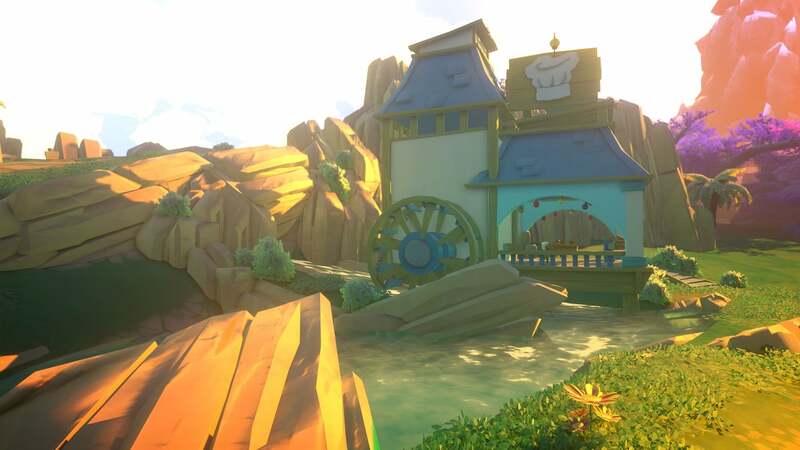 Aforementioned genre games present their neighbors and worlds as people and places that invite frequent visits and plenty of chatter, but Yonder is more like an adorable road trip than your new home. Still, Yonder is great while it lasts and on a console starved for family-friendly, combat-free experiences, you can hardly do much better. I didn't feel like I needed to see any more of Gemea after I had finished my story there, but I'm very glad I saw it all when I did. The art is simple but effective with free-roaming animals that may have even the most hardened gamers squealing from their cuteness. Music, characters, color, and architecture all come together to imbue the world with a warm welcoming feeling that is irresistible during its 8-10 hour story. 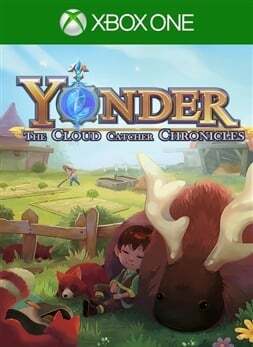 We certainly need more games like Yonder on Xbox. The achievements aren't going to prove too difficult beyond some that will demand you chase items across specific seasons. For the most part, things you'll already be doing in Yonder, like working on farms, main quests, and side quests quite liberally hand out gamerscore, leaving just a few that will require an extra bit of effort or some guides. It will help to know I spotted a money glitch in my playtime whereby whenever I traded with merchants in such a way that my items and theirs had the exact same value, I obtained their items while keeping my own. Subsequently, their shop prices fall as you buy repeat items due to supply and demand, so one can quickly capitalize on free-falling prices, making the entire theft increasingly simpler with each bogus transaction. Yonder is the type of game I wish we had a lot more of on Xbox. Its quaint and relaxed nature is a breath of fresh air and an easy recommendation for families playing together. While its more structured story leaves less post-game life to live compared to its genre counterparts, it also manages to find a comfy middle ground between simplicity and depth. It's approachable, adorable, and sows the seeds of happiness in its characters and players alike. The reviewer spent 8-10 hours in Gemea, rebuilding the Cloud Catcher and picking up groffle poop. He gathered 23 of 38 achievements for 600 gamerscore. A review code was provided by the publisher.